Small - $80.99 Only 1 left! Medium - $80.99 Large - $53.99 X-Large - $80.99 Only 2 left! 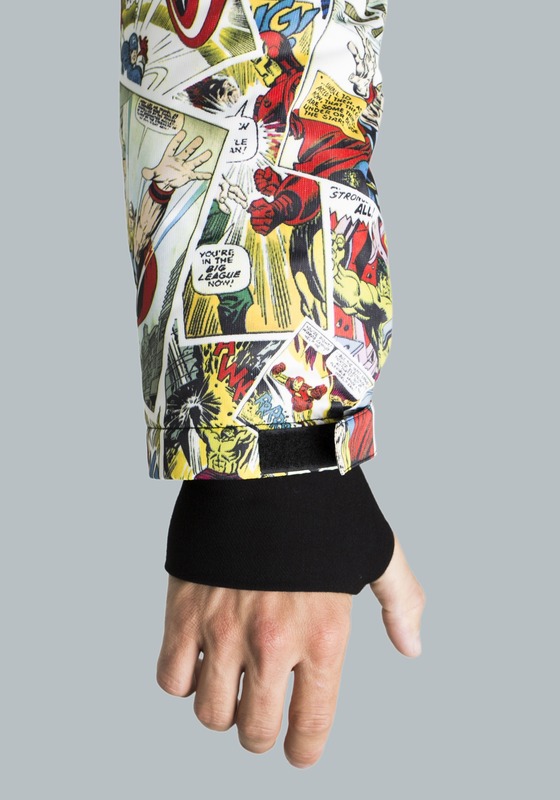 Catching air and landing a frontside 360 already sounds like a heroic feat, but what if you could bring your favorite superheroes along while you're shredding the gnar? 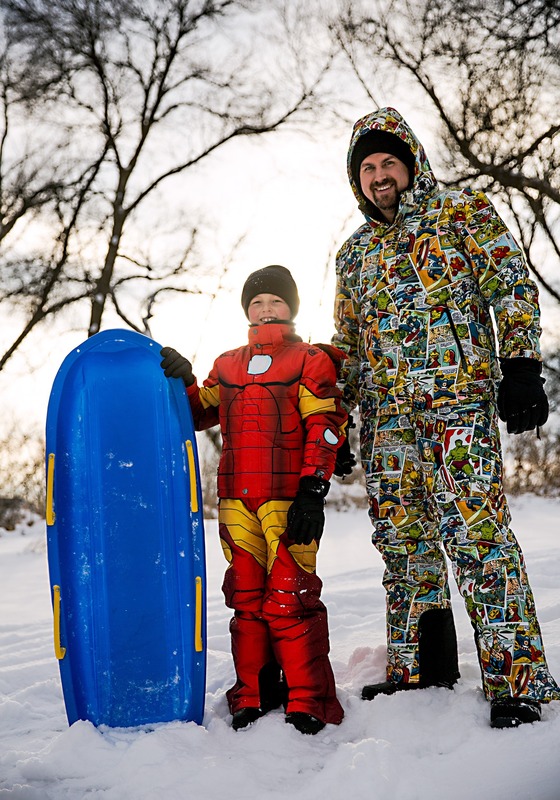 The mighty strength of Thor, the bravery of Captain America, the smashing powers of the Hulk, and even the technological prowess of Iron Man, when combined, will give you the inspiration to lay down the first tracks on the mountain in an extraordinary way. 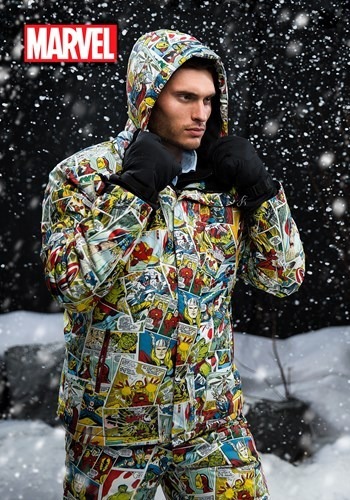 This specially designed Marvel comic print snow jacket for adults has all of your favorite Avengers in a retro, action-packed style, featuring an all over print of classic panels from the comic books. 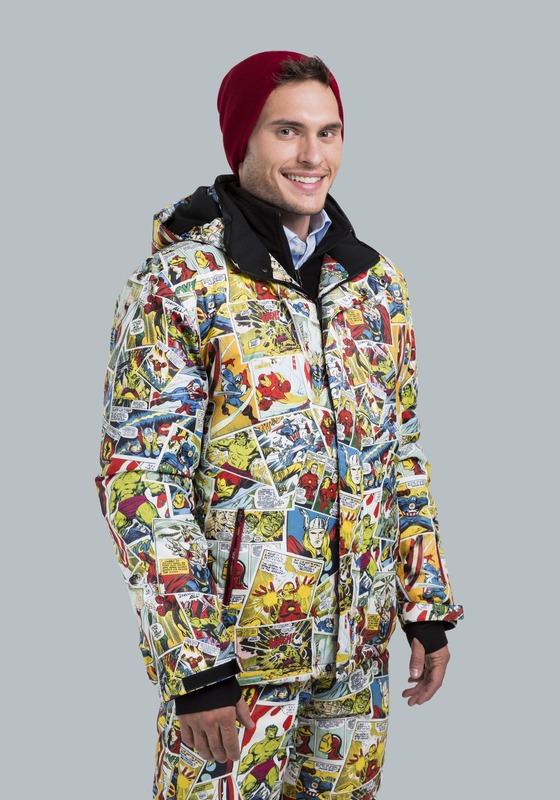 Signature details like logo debossed buttons and a logo zipper pull make this jacket an eye-catching wild card on your black diamond run, because having these superheroes on your sleeve will certainly pump you up to tear it up! 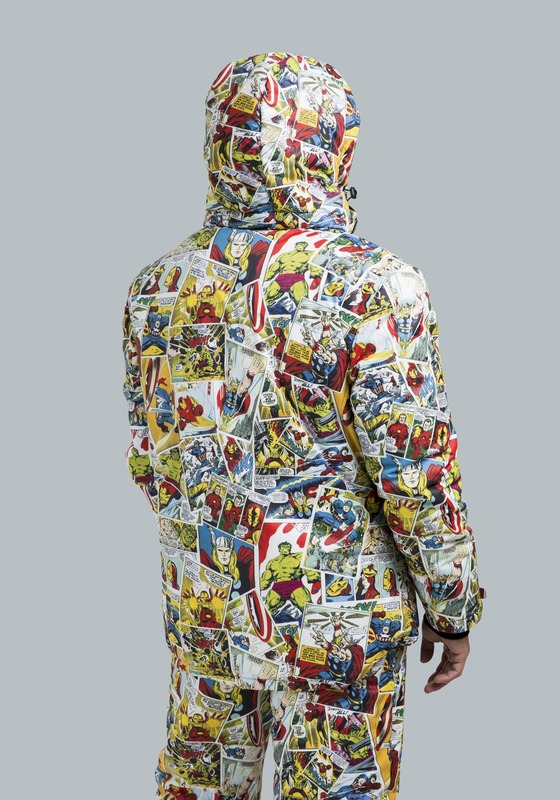 But you don't have to be a boarder to appreciate this detailed Marvel jacket. An all polyester shell with soft fleece lining makes it the perfect outerwear for any winter mission you might accept. 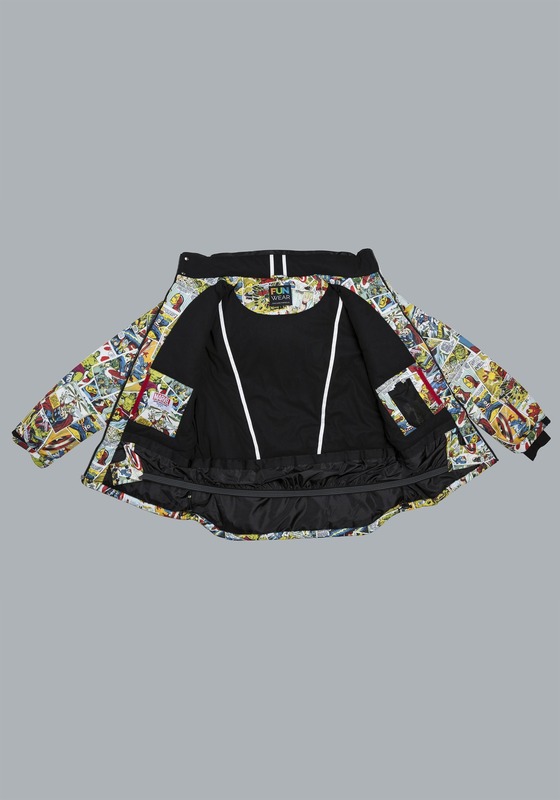 Detailed Alpine outfitting like waterproof sealed zipper pockets, powder skirt, and hand gaiters means it's ready for the harshest mountain, but it's still capable of being a stylish upgrade in any snow-capped burg. 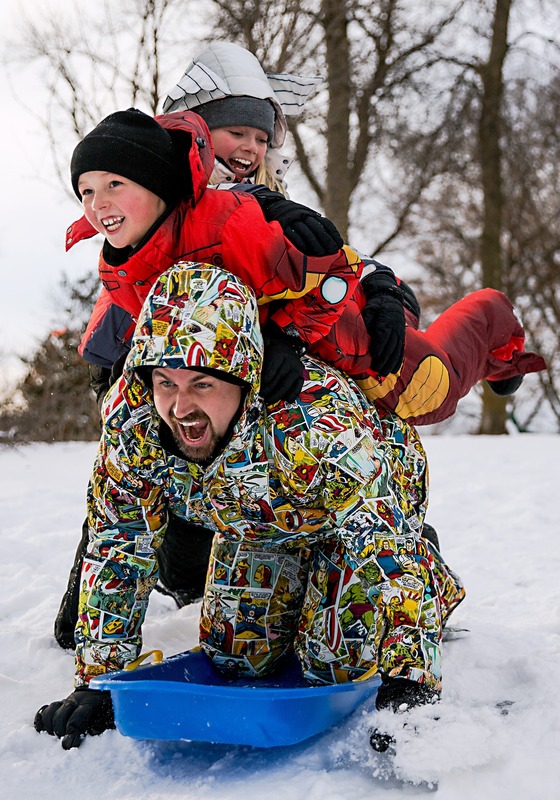 No matter what activities you have planned this winter, this coat is going to look as good out on the snow as it does in the chalet. Custom Marvel logo zipper pull. Custom Marvel logo debossed buttons.